For those of you who are always watching YouTube Videos or following the Makeup Gurus - you'll probably have heard of, or watched Marlena (MakeupGeek's) videos. She launched her own line and her stuff is incredibly priced and packs a real punch in terms of pigment. 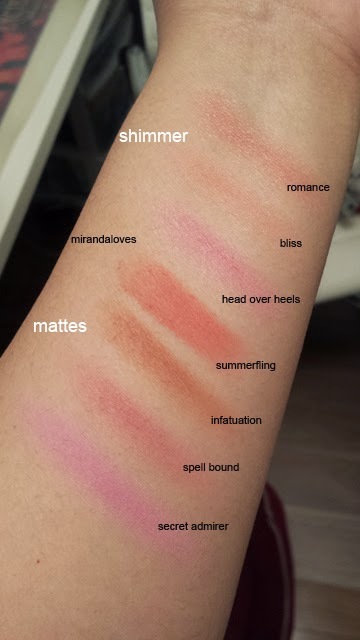 Both her blushes and shadows are buttery smooth and blend out like a dream. The real amazing thing is, her products are alot cheaper than the big names out there - for e.g. 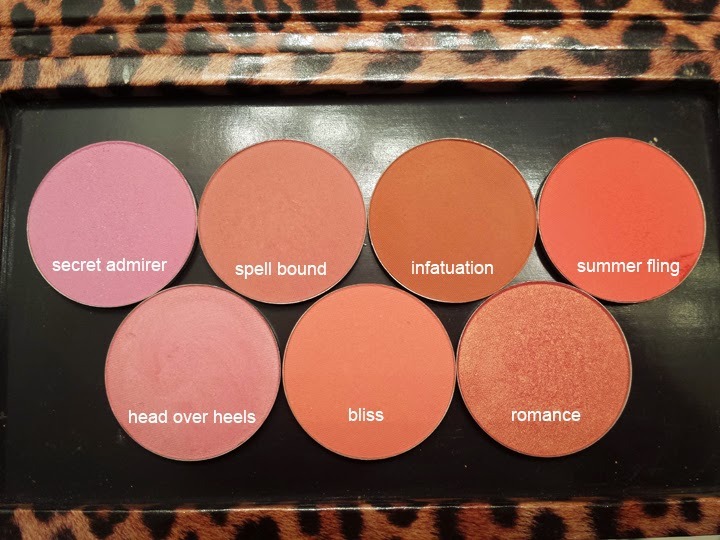 regular eyeshadow pans are $5.99 and her blushes are $9.99 for the pan. 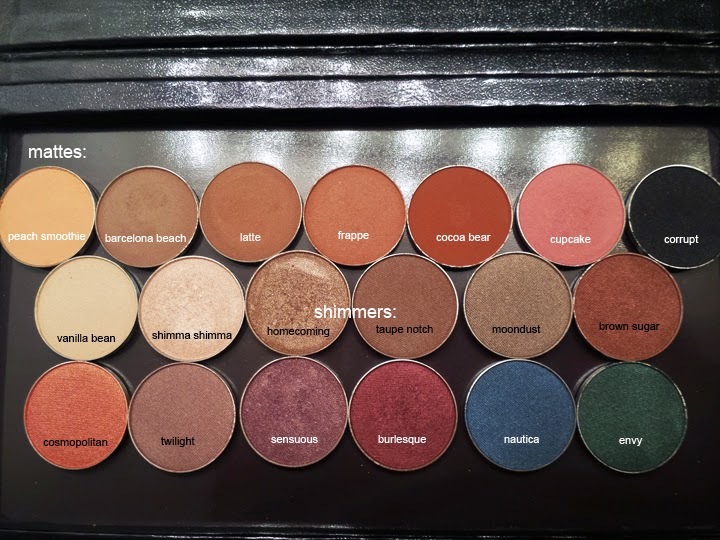 You can easily buy the pan versions of everything and pop them in your own Z palette like I have done below. 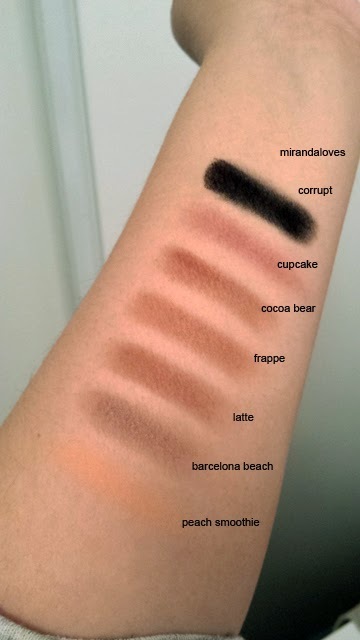 I took swatches of all the products I have, in hopes that they will help you when you decide to order some!! Completely in love with Secret Admirer! 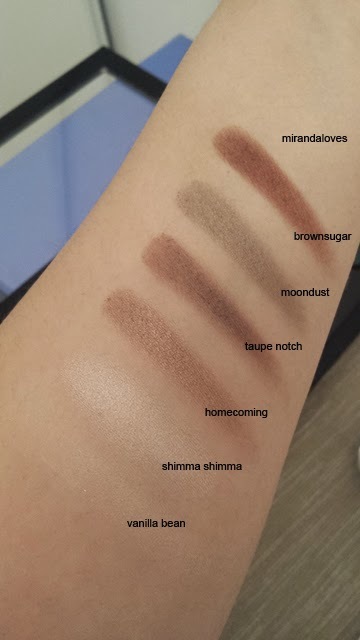 The swatches look AWESOME! 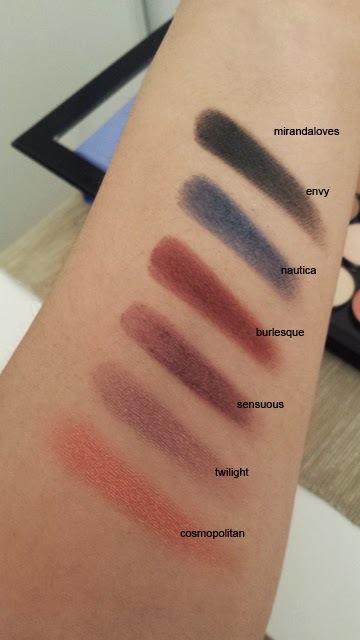 I want to get my hands on some makeup geek shadows soon. The fact that they are so affordable is the cherry on top!